Andrea joined Hawker Siddeley Dynamics Engineering as a commercial apprentice straight from school. The Company changed its name many times over the years as Andrea progressed through IT, Commercial and then Production Management before taking over the three manufacturing plants in Farnworth, Welwyn Garden City and Portsmouth during the period when the company was acquired by Vosper Thornycroft in the mid 1990’s. In 2004 after a restructuring by Vosper Thornycroft, Andrea and her business partner purchased the remaining manufacturing site which had relocated to Worsley, Manchester in 2004 and so began AT Engine Controls Limited. Andrea has a Diploma in Business Studies and was recently awarded an OBE in the Queens New Year’s honours list for her services to Manufacturing. Before joining ATEC as Director of Engineering in 2012, John spent over 15 years building knowledge and experience in both engineering and quality management of high reliability military equipment. Apprentice trained with a BSc (Hons) in Electrical and Electronic Engineering, leading the Engineering and Sales functions at ATEC as well as developing a long-term growth strategy for the business has been both challenging and rewarding. When he’s not working, John is kept equally busy by his two young children; playing football and enduring the rollercoaster that is being a Leeds United fan. 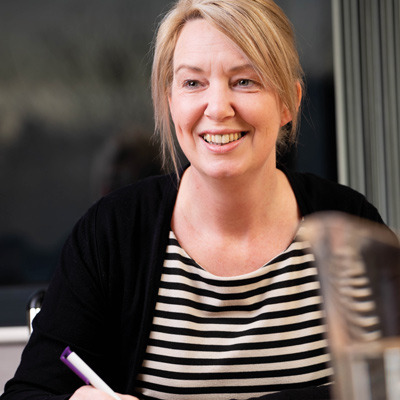 Beverley is a CIPD qualified HR professional. Prior to entering the colourful and eventful world of HR she worked within Distribution/Logistics as a Senior Manager (right at the coalface so to speak) and managed a team of 31 operational clerical staff so is no stranger to people management and the diverse nature of the human being. Beverley is a qualified mediator , she joined the management team at AT Engine Controls in September 2006. When not at work apart from the usual spending time with family and friends she has started training with weights which much to her surprise is turning into a fabulous hobby. Mark joined ATEC in June 2015 as Operations Manager, bringing with him a wealth of experience having worked within the aerospace sector for the last 20 years, covering a wide range of disciplines from operational and supply chain through to purchasing. He is looking forward to the exciting and challenging times ahead of him. 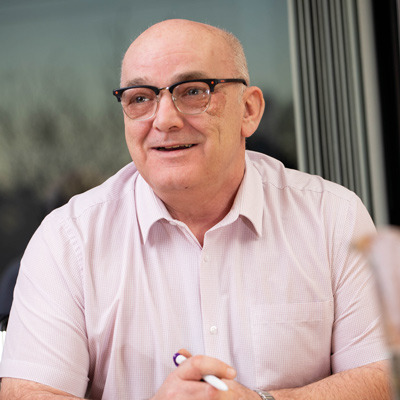 After serving his apprenticeship and gaining his HNC in Electrical and Electronic Engineering with the electronics company Hird Brown, Steve joined HSDE (as it was known then) back in 1983 as an Electrical Wireman. Steve then moved on to Electrical Tester, Test Engineer, Lead Project Engineer, Technical Authority and is now currently in the role of Engineering Manager. Steve’s interest away from work are athletics were he still competes in the Masters Track and Field events. 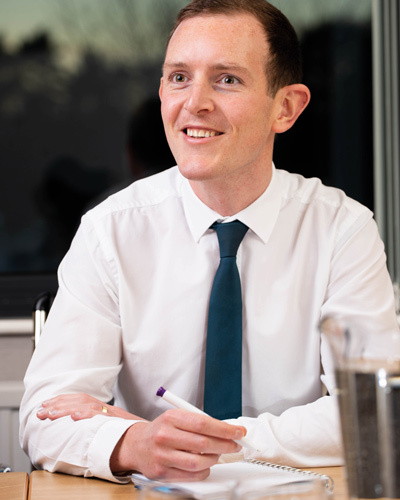 Steven is a CIMA qualified management accountant with over 13 years of comprehensive finance experience gained from time spent in manufacturing, distribution and service. 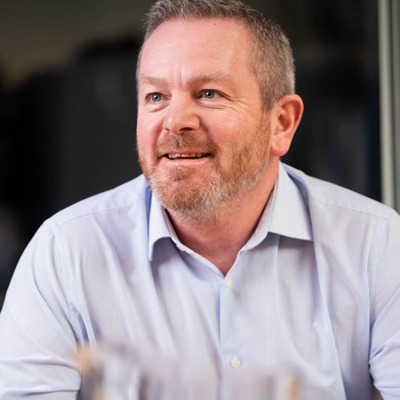 Steven joined the team in September 2018 to drive the financial strategy to support business growth. Outside of work Steven loves to spend time cooking and is also a keen cyclist. Phil joined the ATEC senior management team in 2016. A senior Aviation and Aerospace industry quality, safety & compliance professional with 30 “something” years broad business management experience spanning civilian, military and defence sectors. 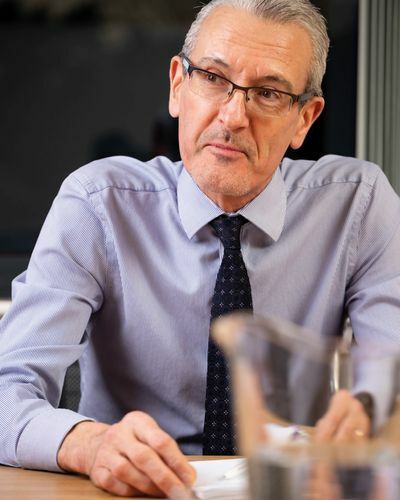 Phil Says, “I fundamentally believe that the continual improvement of quality, safety & risk management systems facilitate the creation of a team ethos and is the key to the continued success of any organisation”. With his daughter having flown the nest to start University Phil is basking in the increased levels of “me” time taking Mabel the family ever-active springer spaniel for long walks. He is also enjoying the increased time he can dedicate to improving his Ukulele skills. When asked Phil could not say with any certainty how much his wife Julie is enjoying the additional Ukulele time! Mick is a professional Business Development Manager with a telecommunications and system engineering background. 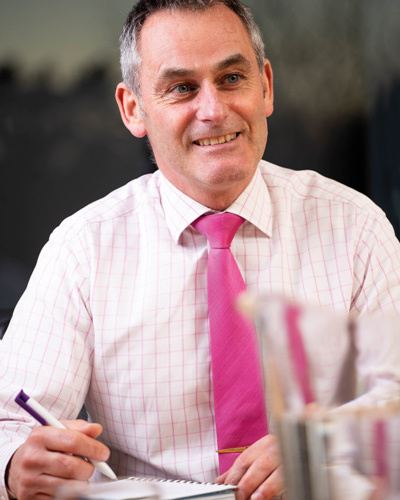 Educated to degree level and with practical experience obtained from over 26 years in the Armed forces (Royal Signals), Mick still looks forward to the challenges that life presents. 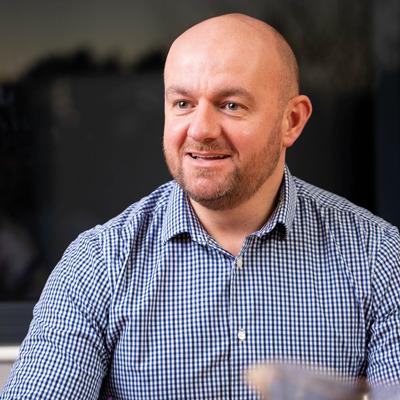 Since leaving the military Mick has worked in the Aerospace and Defence sector for over 10 years and joined ATEC in 2017 to assist them in their pursuit for business excellence. Mick still claims to be a very fit and active person and can be found most weekends enjoying the great British weather in the Yorkshire Dales or North Yorkshire Moors with his wife Julie and Dolly the Cockerpoo. Lisa recently joined ATEC as Key Account Manager with the purpose of building relationships with both existing and new customers and managing the Sales Department. 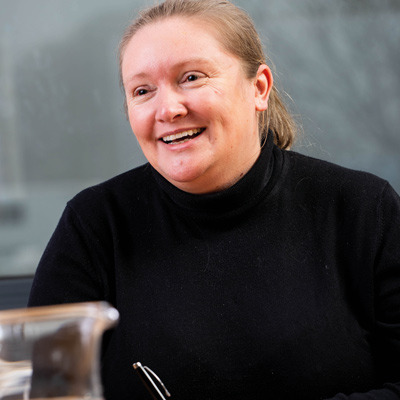 Prior to joining ATEC Lisa worked for over 20 years mainly in Manufacturing and Engineering environments, predominately FMCG in Corrugated Manufacturing and Engineering Stores Management companies such as Kellogg’s, Heinz and PepsiCo. 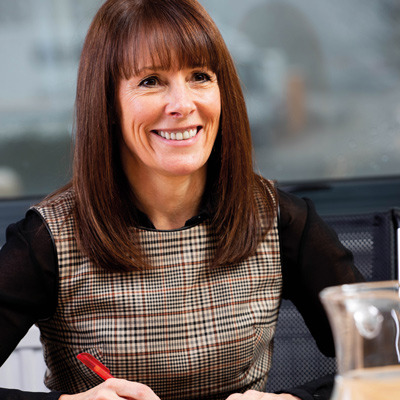 Her role has always been to be the customers advocate and is therefore best placed to drive the business internally as she always considers the bigger picture for both the customer and the business. Catherine recently joined ATEC as Key Account Coordinator, having previously worked in both Procurement and Key Account roles. Catherine has worked predominantly in Automotive and Pharmaceutical Manufacturing environments and has experience of being both the customer and the Account Coordinator. Catherine has a degree in International Business Management and is keen to develop her new role within ATEC. Carol joined the company way back in 1983 when we were then Hawker Siddeley Dynamics Engineering. She spent her early years as a semi-skilled operator working on our Digicon & Marine printed circuit boards. 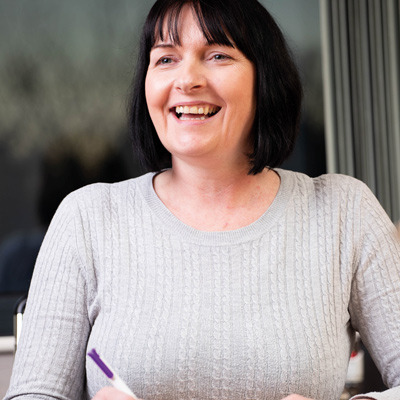 Carol gained her NVQ level 3 qualification in 1999, enabling her to become part of the Skilled workforce. She has gained lots of practical experience in many departments within the company, eventually settling in her role as Export/Despatch Clerk where she facilitates all of the shipping requirements of ATEC products, as well as assisting the Sales department with admin and customer queries. Carol is a self-confessed shopaholic always on the lookout for a bargain or two!